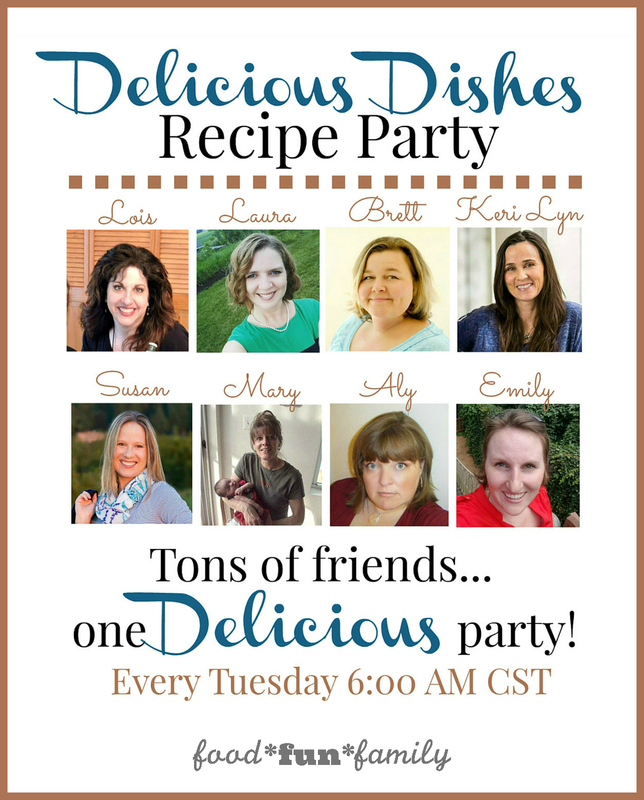 Welcome to the New and Improved Delicious Dishes Recipe Party! We took a short break last week to make a few changes, and now we’re back and better than ever! I’m excited to introduce a few brand new hosts that are joining the party this week. Since we don’t have any featured recipes this week (since we took a break last week), I’ve got a featured recipe of my own for Easy Thai Peanut Curry Chicken, in case you haven’t seen it already. You are going to LOVE this one-skillet dinner that takes about 30 minutes to make. My family loved it! Click the image below for the recipe! And you’ll still see these familiar faces each week, too. You can’t get rid of us! And remember…each recipe you share here will be seen on each of our blogs AND on our Pinterest board (see below)! And don’t forget we’ll each be sharing with you our Party Favorite Recipe and the Most Clicked Recipes from this week’s party next week. So make sure you join the fun every week! Thank you! I love hosting this party…and especially discovering so many delicious recipes. I am inspired by all of my blogging friends and their creativity in the kitchen! Aww! Thank you! I’m happy to host each week and I absolutely LOVE being inspired by everyone’s recipes!